Long ago, humans had to be in constant movement in order to survive – modernity has turned the instinct of movement into something theoretical – we spend most of our day sitting, be it in front of a computer screen or television, and we communicate via technical means such as cell phones, answering machines and email. Technological advances have brought with it an estrangement from movement and physical contact that is increasing from one day to the next. The Children of today are not playing games outside anymore – they are mostly found playing together on the computer, and even on the WI which simulates sport like activities that can be played indoors where physical contact with others or even with the ball becomes unnecessary and the child plays against a screen instead of another human being. In this seminar we will experience the vital roles of movement and touch in our interactions with others in order to rediscover heightened levels of understanding and intimacy and as a result, overall wellbeing. Communicating in the Modern World is suitable to all groups and can be suited to professional enrichment programs among health care professionals in particular, such as osteopaths, physiotherapists, medical staff, cardio specialists, elderly caregivers, midwives and psychologists as well as social workers and educators. In our modern world the roles of movement, touch and communication have taken on a new meaning, mostly impacted by the rapid pace of technological advancements. The Role of Movement & Touch in Early Childhood Seminar will focus on tools parents and educators can use to provide the younger generation with a solid physical, mental and social developmental base. What causes us to use our children as sources for competition and comparison? The seminar also includes practicum opportunities and experience. It is suitable for early childhood educators as well as parents and caregivers of small children. Today, awareness of the term “active birth” is at its height – the “natural” birthing process and physiological changes women undergo when responding to her bodily instincts at childbirth. Active birth in short, refers to the control that women assume over their bodies during the birthing process. It is also important to mention here that preparation for “active birth” during pregnancy reduces the probability of complications from arising at childbirth (such as a need for intervention such as forceps, emergency caesarian section or other) and alters the birthing process for women from passive to active involvement. Since the “medicalization” of the birthing process in the Western World over a hundred years ago, upon entering a medical facility to give birth, women are prepared for delivery by a nurse and await a physician to deliver her baby. This tradition has proven to be the easiest position for a woman to be in order for the medical teams to carry out their task – lying flat on her back, much like a ladybug turned over helplessly. In fact, it remains to be seen whether or not this position is for the benefit of the mother and the child. 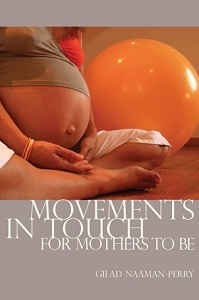 If we assume that birthing is an instinctive process and that a woman’s body is naturally built to carry it out, it is advisable that the birthing process take advantage of the physics of gravity in positions such as standing, squatting, kneeling and on all-fours or laying on one’s side, to aid in the delivery. I believe that the idea of active birth should begin at the beginning of the pregnancy and not a few weeks prior to reaching one’s “due date.” From the very beginning of a pregnancy, parents-to-be have an opportunity to develop a strong support system far more than shared anticipation and excitement at medical check-ups. The special support system begins with a partner’s willingness to learn how to pamper and relieve physical strains brought on by pregnancy through simple movements such as placing their hand on her lower back, using a tennis ball to massage her shoulder blade region, having her hang her arms around your neck while you stand in front of her and she sits in a chair, or helping her sit on a large physioball and tilt her pelvis slightly from side to side with her hands in front of her supporting herself against a wall. 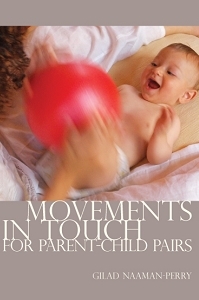 The movements described above can form intimate connections during pregnancy that are important also during delivery. When a woman is ready to deliver, especially when contractions are close, every woman behaves differently and some prefer to be left alone and don’t welcome physical support in the form of caresses. Actually, these are the moments that they need it the most, a good massage, caress, embrace and pain management. Thus, a woman’s birthing partner has a great opportunity and obligation to help her manage her pain by drawing on the tools learned throughout the pregnancy that best relax her. I am calling out to the men out there who are engaged on the wonderful world of parenthood with their special lady to make an effort to further develop your involvement and connection through touch and movement even if it goes beyond conventional standards. I challenge you to find the major pressure points during contractions in order to alleviate the tremendous pain they cause that we can only imagine. If I asked you which of the five senses is the most exceptional from among all of the of them and why, what would be your answer? I’d guess that most of you would answer “touch” as it is the only sense that is not physically connected to your head – a good reply, but not the complete answer. The fact is that in addition to what you already know, the sense of touch is the only one that is the least affected by the ageing process. Here is the first clue to the rest of the article, which stresses the importance of touch during our entire lifecycle, specifically in our senior years. As we get older, we deal with many physiological changes. One such physical change is a decrease in muscle mass,* which can lead to lowered muscular activity, calling for added efforts in achieving what is considered “normal functioning” (*muscle mass is a primary source of metabolic heat, generated by muscle contraction that produces normal muscular activity). Another significant sign of aging is fat depositions, weaker respiratory function, inflexibility, and more. We also encounter personal and social limitations that include anxiety, a sense that time is running out, a lack of routine and low self image in comparison to what you once “were”. Many physiological factors can produce positive effects to the aging process such as lowering fat, maintaining muscle strength, improving respiratory functioning, flexibility and balance, as well as achieving good cholesterol levels, keeping normal sugar-blood concentration, relaxation (endorphin release), and more. Studies have shown that there is a strong correlation between physical exercise and emotional levels – regular exercise and sport lowers symptoms such as depression, fear and anxiety, and feelings of weariness and ill health. (Ross, C.E. & Hayes, D.,’Exercise and psychological well-being in the community’, Am. J. Epidemiology, 1988, 127, pp. 762-71). By staying healthy and maintaining a good level of self-esteem, we can maintain a well-balanced lifestyle as we age. As part of the aging process, we sometimes feel a little down and even depressed with the limitations caused by the physiological process. This often causes lowered self worth and results in our mind “falling asleep” on us. Therefore, self-esteem plays a central role in our daily lives and is important for our confidence, self image, independence, and control over our bodies. By taking control and “doing for oneself” we in fact are promoting our health and keeping ourselves happy. Exercise and movement allow us to improve our aging process and maintain a healthy mental state and higher levels of happiness. Regular physical activity enhances our flexibility, strength, suppleness in our joints, respiratory function, concentration, coordination, relaxation and composure, and increased self worth. Most importantly, emotional support fulfills a real human need by promoting friendship and togetherness as a cure to loneliness. Our first experience of healing is through the sense of touch. When we fell as a small child our mothers “rubbed it better” and so we learn at a very early and tender stage in our development to associate touch with love and healing. Doctors today are accused by their patients of sitting at the wrong side of the desk and never touching the patient in therapy only in diagnosis. To ensure healthy social and physiological well-being, it is imperative that we keep the basic instincts of touch and communication intact. Infants and children seek physical contact from their caregivers, and all forms of mature relationships between adults require physical touch to symbolize mutual recognition and understanding, such as a hand-shake, pat on the back, embrace, etc. Movement is also a life necessity and is as essential as food, sleep, and touch. It plays a significant part in shaping our body image and self perception. 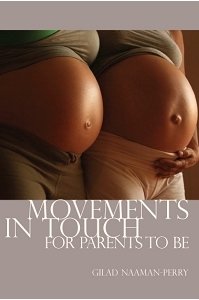 Thus, movement in combination with the healing properties of touch, contribute to building self understanding that in turn creates a positive body image, enhances our desire to increase body action, and helps produce positive interactions with others at all of life’s stages, from the fetal stage through to the golden years. Modern life has changed human activities and habits, which concern the way we move, work and even communicate. Long durations of being seated, for example, affect our muscles that are forced into a continuous contracted state, and result in aching joints and shallow breath that cause back, neck and shoulder pains. The best way to relieve these symptoms is through regular exercise and movements that focus on opening the chest area encourage deep breathing, to help release and relax common physical discomforts brought on with age such as “dormant” joints by stimulating blood flow to reduce painful and confined movement. It is a fact that the older we get the less we move. Look at a young child, they never stop moving  like a bee seeking pollen they continuously wander from place to place experiencing the world through touch and movement. A Grandfather on the other hand, moves less and less, preferring to spend the majority of his day  the older he gets  sleeping in the sun and enjoying the “quite life” at the end of his days. By stimulating our sense of touch and integrating regular exercise and movements designed to relax, stimulate correct breathing processes and blood flow we will lead a healthier and happier lifestyle well into our senior years. Best wishes for an active, healthy and happier life.